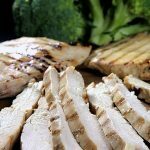 Save time on meal prepping by making precooked, brined and grilled chicken breasts for the freezer. Just thaw and add to meals. If you are looking ideas to make meal preparation more organized, faster, and easier, than you should try this recipe. This is a great way to use up that left over chicken and have it prepped for future meals. How to make grilled chicken marinade / brine? Place 1 cup of boiling water into a large bowl. Whisk in the salt and sugar until dissolved. Then, add 3 cups of cold water, peppercorns, garlic and onion powder. It’s that easy, and the chicken breast brine is ready to be used! How to brine / marinade chicken? After you make the chicken brine place chicken into it and use a food injector to inject some of that grilled chicken marinade into your chicken; that way not only is the chicken soaked in brine but also gets some of that marinade inside the meat. I’ve even noticed that some frozen chicken meats are injected with a sodium solution from the grocery stores. So do consider investing in a food injector as I think that helps the meat to come out more moist. How long to brine / marinade chicken? Marinade for at least 2 hours at room temperature before grilling. Or marinade over night in the refrigerator and allow to sit at room temperature for an hour before grilling. Pre-heat grill to High heat. Then, place room temperature chicken breasts onto heated grill and reduce the heat to medium. Grill each side for 4 minutes or until done. The next time you come across a good deal on chicken breasts, stock up and prep some precooked chicken strips for future meals. 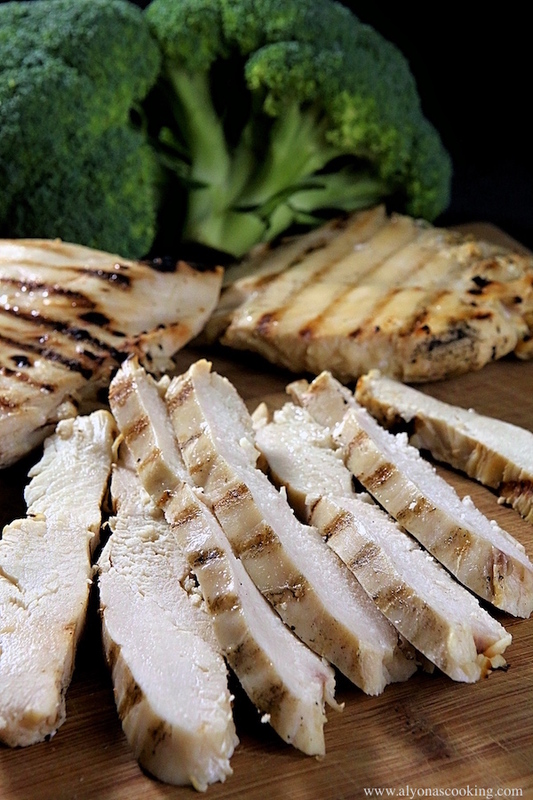 To freeze chicken, simply cool cooked chicken breasts and slice into strips. Place chicken strips onto a large tray and spread out. Flash freeze until solid then transfer into a gallon sized-zip-loc bag and keep frozen. 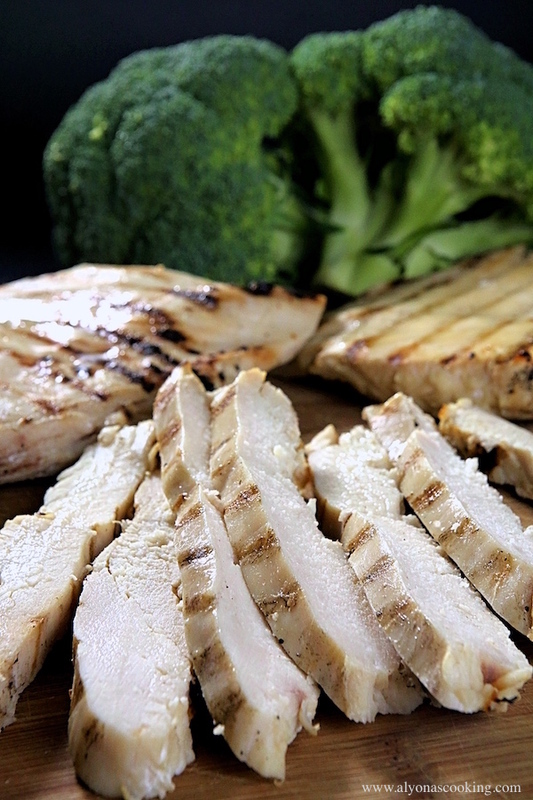 Save time on meal prepping by making precooked, brined and grilled breasts for the freezer. Just thaw and add to meals. Place 1 cup of boiling water into a large bowl. Whisk in the salt and sugar until dissolved. Add 3 cups of cold water, peppercorns, garlic and onion powder. Place the chicken breasts into the brine and inject meat with brine. TO GRILL: Pre-heat grill to High heat. Place room temperature chicken breasts onto heated grill and reduce the heat to medium. Grill each side for 4 minutes or until done.